Forensic scientists are working to identify the remains of 18 people who have died in recent years. Relatives gathered at King's Inns in Dublin yesterday to remember their loved ones at the sixth annual national Missing Persons Day. Among them were relatives and friends of Jo Jo Dullard, Deirdre Jacob, Jean McConville, Columba McVeigh, Amy Fitzpatrick, Annie McCarrick, Fiona Pender, and Willie Maughan and his partner Ana Varslavane. Also present were the families of Rescue 116 crewmen Ciaran Smith and Paul Ormsby, whose bodies have not yet been recovered after their Coast Guard helicopter crashed off the Co Mayo coast in April 2017. Speaking at the ceremony, Dr Dorothy Ramsbottom, of Forensic Science Ireland, urged families of missing people who had not yet given DNA samples to do so. She said there were 18 unidentified remains on their database and scientists were improving search capabilities. 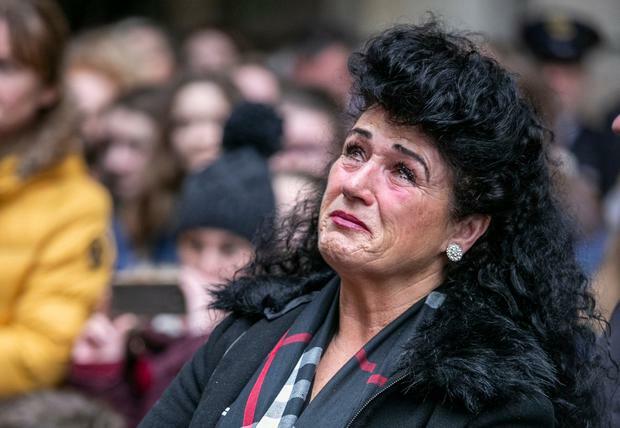 The families heard personal stories of heartache and hope, including from Gerard Keenan whose sister Imelda disappeared without trace in Waterford 25 years ago next month. "These 25 years have been a very dark time for this family," Mr Keenan said. Despite the passage of time, Mr Keenan has never given up hope. "There's always light at the end of the tunnel," he said.